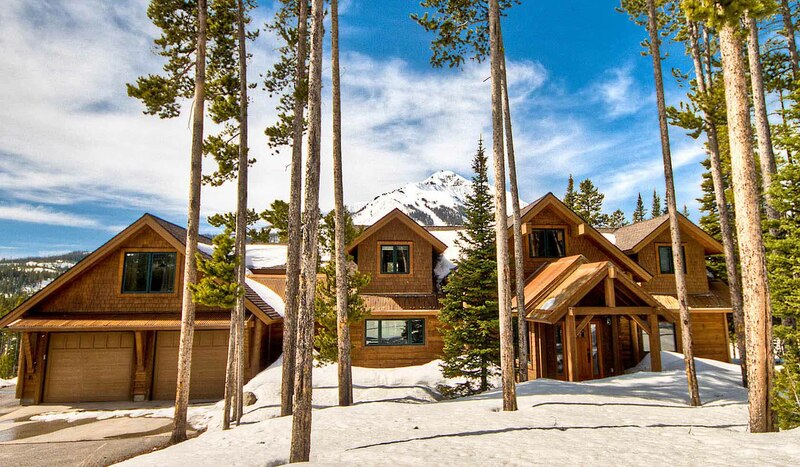 6 Bedrooms, 5.5 Bathrooms, Occupancy 16 Look no further...the perfect Montana Retreat awaits. Nestled in the pines this single family residence will offer the solitude, quiet and beauty that you have imagined. The floor to ceiling windows frame Lone Peak like a perfect piece of art. The lower level of this home has every possible amenity. Full screening room with 8 theater seats, Wii gaming system, pool table, poker table and full bar and of course outdoor hot tub for a relaxing soak. Hours of entertainment after a long day of skiing! Not a skier? No problem. Create a roaring fire in the comfy living space and curl up with a good book with the view of Lone Peak right out your window. In the summer a huge deck with table and chairs allows you to soak up the sunshine or eat a casual meal prepared on the large propane grill. With skiing and activities just a few minutes away in the winter and Yellowstone National Park less than an hour away in the summer this is the dream Montana retreat.